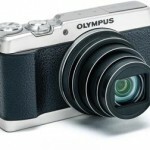 Olympus presents the new PEN E-PL7 camera which combines, style, quality and connectivity. The designers from the PEN series understood perfectly what other brands haven’t: many seek a camera that complements its style with high quality and creative abilities. Which is why they avoid plastic reflex cameras that a large and ruin its personal aspect. The LCD screen of the new PEN can swivel and twist to make shots with the timer of selfies or video without the fingers becoming a nuisance for framing. You can even drive without touching the camera, simply using the smartphone’s screen. The E-PL7 can be considered a fashion icon. It’s a camera that’s as easy to use as the telephone and presents a different aspect with a wide range of accessories, professional standards and a great quantity of creative functions. Its excellent design extends towards its accessories and its retro style of protective bases, lens caps, or belts. The E-PL7 offers high quality images with powerful camera technology OM-D for high quality Olympus cameras, jointly with creative options, easy use, and simple to share images on social networks. Connectivity options that permit the easy uploading of images to the internet are things that blog users keep in mind. For example, the Live Guide functions, permit adjusting the parameter via a bar on the LCD screen (without having to navigate the menu) and verify the effect of the changes real time, before pressing the shutter. The Live Guide function provides professional sophisticated quality effects like bokeh (blurred background). 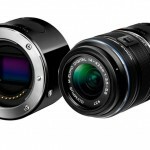 It includes a thin interchangeable 14-42 mm 1:3.5-5.6 EZ lens to develop their creative in any place. It has an excellent quality image thanks to its sensor Love MOS with 16.1 megapixels and its image processor TruePic VII. Olympus is a pioneering brand with image editing resources in the PEN and PEN E-PL7 camera and includes 14 artistic filters such as, for example, the new Partial Color and Vintage filters. All of them can be precisely adjusted to suit the user. Olympus OI Share is an application that can be downloaded free of charge and has a much simpler connection between the PEN camera and a smartphone using Wi-Fi to share with friends and followers your favorite images on social networks. With the brand name Olympus PEN engraved on its metal case the E-PL7 exudes style and shows that it is not necessary to overload the shoulders with a heavy DSLR for professional photography. The new Olympus PEN E-PL7 camera will be available in white, silver and black starting October 2014 at an estimated price of $599 and $699 with a slim-line 14-42mm f/3.5-5.6 EZ pancake zoom lens. Both models are compatible with the OI Share application to share via Wi- Fi through a smartphone with Android iOS. Next Kipon launches nine macro adapters for mount Fuji X.